If you're a fan of Trader Joe's Spinach and Kale Greek Yogurt Dip, and were ever like "Dude, I really wish I could eat something like this in a pie," guess what? Your prayers have been answered. Although, I really wonder if the word pie was the best choice in this case. "Pastry" would seem to be slightly more accurate to me, but I've petitioned for that coveted Trader Joe's product-naming position repeatedly over the past few years and have yet to receive a response, so what do I know? At any rate, this item turns out pretty well when cooked in the oven. It's extraordinarily flaky. Like, explosively flaky. Little bits of the crust wound up all over the table and floor as I crunched away each piece with my fork. But I was pleased with the taste. The crust was lightly buttery and croissant-like, flavor-wise. The filling was very similar to the aforementioned spinach dip. And as was the case with the spinach dip, I definitely tasted spinach, but I really couldn't tell you if I tasted kale. Even after multiple dishes containing kale, I'm still not really sure if I know what it tastes like. That could be partly due to its blandness (but let's be kind and use the term "subtle flavor" instead). Or it may be due to the fact that kale and spinach are so similar in texture, flavor, and color, that it's completely pointless to put both of them into the same food together, except maybe to add a bit of exoticness to the name of the product. The only major difference between the spinach dip and the filling of this pastry is the absence of Greek yogurt in the latter. With or without yogurt, spinach and kale would seem to be a healthy food choice. For a diet like mine, it might be a step in the right direction for the green roughage alone, but this particular item is chock full of sodium and saturated fat. The pie is pretty large, but not so large that a normal serving size is 1/6 of it. 1/4 of the pie seems a more realistic serving size to me, but you know how mathematically-creative people can be when drawing up the numbers for that Nutrition Facts column. I think it's worthy of three stars. Sonia's going with three and a half on this one. Not bad. Exactly our reaction. Very disappointing! I am looking forward to trying this, but when we went to our local TJ's last time, my husband noticed the packages looked....thawed and wet? I don't know, but I think it sounds pretty tasty! Ours was a bit salty, Jessie, but I didn't think it was overwhelmingly so. Dissenting opinions are welcome, Leigh Ann. Do you like the spinach and kale dip, or are you pretty anti spinach and kale in general? I love spinach, kale and spanikopita, so had high hopes for this product. Unfortunately, we found it salty, oddly flavored and unevenly cooked when we followed the directions. The kale spinach dip was ok.
Well, there seems to be a decided lack of consensus on this product. But thanks for sharing your opinions, everybody! We do appreciate all of your comments! I freaking love this stuff! Not too salty(I like salt and add it to a lot of stuff so I might be biased on that part), odd flavor? I think not! Thawed and wet package, get it home in your freezer, fast! I am bringing it to a dinner party tonight, I hope it goes over well with everyone. If I was having a dinner party with the people in this review column I would be screwed!! My wife and I were looking forward to this new product. But I have to say we were rather disappointed (something that has really never happened before at TJ! 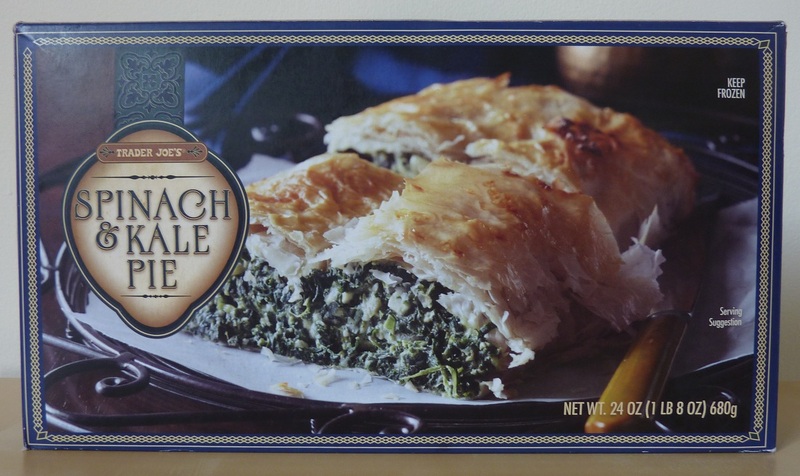 )It was noticeably more salty (compared with the original spinach pie) the crust was not as flaky, and the price was higher. First world problem I know, but thought I would add my two cents! I'm cooking one in my toaster oven right now - the outer crust is perfectly golden brown, but the insides are ice cold after the suggested 45 minute cooking time. I took it out of the paper cooking container and placed it on a pan, with some tin foil on top to keep the top from burning. What gives? Already I miss the Phyllo Factory product TJ's used to sell that I'm thinking this is meant to replace.